Did you know It’s National Bike to Work Week? Downtown Atlanta is the perfect place to travel on two wheels. Don’t own a bike? You can take advantage of our Relay Bike Share rack located right on Peachtree Center Avenue! Relay Bike Share allows you to rent a bright blue bike and travel to various destinations around Downtown and Midtown Atlanta. Don’t want to return it to the same place you got it from? No worries, you can return a Relay Bike Share bike to any of Relay Bike Share’s 65 hubs. Relay Bike Share can save you tons of money you would normally spend on gas and parking and lessens your carbon footprint, helping out the environment. It’s also healthier for you – people who cycle for 30 minutes, ﬁve days a week take about half as many sick days (Source). 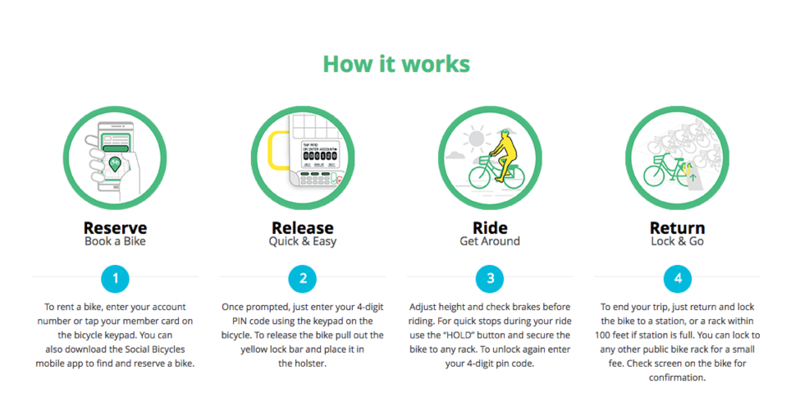 Many pricing options are available for Relay Bike Share, ensuring you get the plan that works for you. The Pay as You Go option costs $3.50 for a 30-minute ride and costs 15 cents for each additional minute afterwards. A monthly pass costs only $15 per month and includes 90 minutes of daily ride time. Get an annual pass and spend only $10 per month for a 12-month minimum. Celebrate National Bike to Work Week and check out Peachtree Center’s Relay Bike Share rack today!